How to Remove, Eliminate or Strip a 2nd Mortgage Off a House (Conclusion). As explained in Part II of this guide, once a second mortgage is in default or behind on payments the lender has few options to force the homeowner to pay. In many cases the lender will entice the owner with very liberal options to adjust, refinance or otherwise work to make the loan “perform” or begin repayment. However, the homeowner will hopefully recognize that this is an opportunity to get a very liberal settlement of the debt owed on the second mortgage. in some cases, second mortgage lenders have settled for as little as 20, 10 and even 5 percent of the total balance owed on the second mortgage. This settlement needs to be a lump-sum payment. They will not take payments to execute a settlement. Additionally, the assumption is that the lender has no other information that the homeowner could otherwise afford to pay the mortgage through liquidation of other assets or income. Warning: Attempting to execute a settlement to strip a second mortgage has two large hazards. The first is that in the process of negotiation the lender is not just trying to settle but is collecting information to possibly come after the homeowner should the settlement fail and the debt go unpaid. It is important not to provide new information that might assist i,n denying the settlement and increasing the risk of exposure to lawsuits. It is highly recommended that a 3rd party such as an attorney, be used to conduct the settlement negotiation the cost of the attorney will easily be affordable given the savings from the settlement. Remember to execute a settlement you will need a lump sum of cash to quickly pay the agreed settlement amount. The second hazard is that there is a tax consequence to debt settlement, meaning you will owe the taxable amount on the unpaid portion of the original debt. For example, if you settle an $80,000 second mortgage for $20,000, you will have a taxable benefit of $60,000. Depending on your tax bracket and deductions that will be a sizeable tax bill. Consult a certified public accountant prior to concluding any settlement to understand the tax consequence. The second option is to strip a second mortage lien through the filing of a Chapter 13 Bankruptcy Reorganization. The first thing that should be pointed out is that there is no “tax consequence” on the unpaid portion of the debt. This makes a bankrutpcy a better financial option over a settlement. The second advantage is that the bankrutpcy results in a complete elimination of the full amount owed on the second mortgage creating an even greater savings over a settlement. 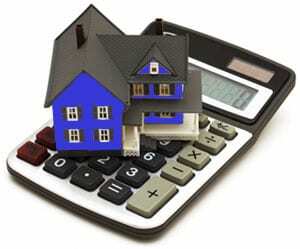 The third advantage is that the mortgage lender has no say in whether it can be done. Approval is based strictly on complying with the bankruptcy requirements in a Chapter 13 and showing the court that the second mortgage lien is completely unsecured. Misconceptions: The first misconception that is generally raised is “Won’t the bankruptcy hurt my credit?” Well, Yes. However, your credit is already hurting if you are behind on your mortgages and possibly going to be faced with a foreclosure. For individuals seeking to do a “strategic foreclosure” or elimination of the second mortgage, meaning they can otherwise afford to pay the second mortgage, this option may be to great a sacrifice. However, for most people faced with defaulting on the home this option is a good one. The other misconception is that many people over value their credit. Full payment on a $25,000 second mortgage may require $100,000 in payments. Is your credit over three to five years worth $100,000? The other thing most people don’t understand is that your credit immediately is rebuilding once you file the bankruptcy. Talk to a bankruptcy attorney for further details on this. How does it work? : To strip a second mortage through a Chapter 13 Bankruptcy Reorganization, the homeowner must qualify and enter a three to five year repayment/reorganization of all their debt. Structuring and executing such a plan is extremely complicated and should not be undertaken without a qualified attorney. The hazard is that the lien is not actually stripped unless the homeowner complete the term or all payments on the three to five year plan. Despite the stigma and misconceptions of a bankruptcy, it is hard to ignore the fact bankruptcy actually provides value, value through the elimination of debt. It provides value by freeing up your future income so it does not have to be paid endlessly towoard debt that his not helping advance your financial future. Consider consulting a bankruptcy attorney to find out more. TO TALK TO A LAWYER ABOUT STRIPPING YOUR MORTGAGE CALL 1-800-662-8813 OR CLICK HERE. On a personal note, I appreciate all the thanks from our blog readers and clients about the various topics I write about. To link to this stream of postings just “friend” us on Google+. I would also appreciate if you would Google +1 this page at the top and our bankruptcy page to help others find this information. Stay tuned and God bless.